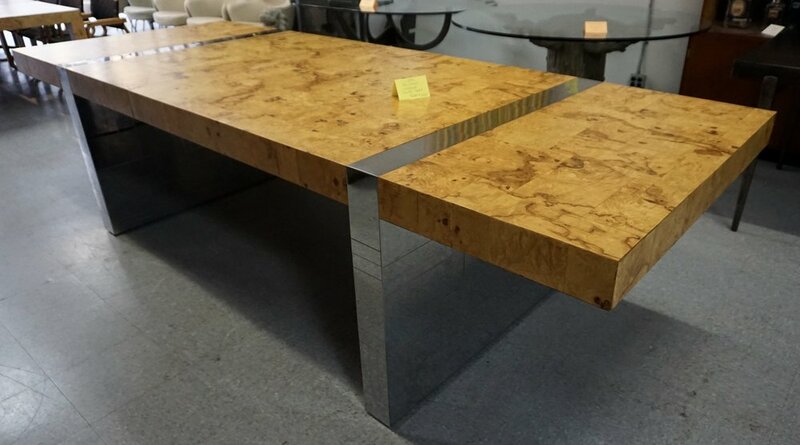 Paul Evans cityscape dining table-signed -restored. total 118 x 44, very heavy table. David Barrett Carved wood tree trunk table w/glass top. 60 round x 30.25 high....wood branches extend to 50"
saarinen 48" walnut top table. Danish teak round table with internal leaf. Saarinen walnut top 48” round table. closed 59 x 40, open 105 x 40., each leaf is 23”.